We are delighted to announce that Professor Susannah Quinsee, Professor of Learning Development and Director of Learning Enhancement and Development; City University of London will be joining us as the new visiting professor for Library and Learning Services. 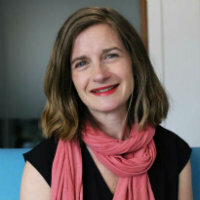 Susannah leads the Learning Enhancement and Development Directorate which encompasses educational development and technology enhanced learning activity; academic skills, dyslexia and disability support, and student counselling and mental health services for the City University of London. Susannah was Chair of the Heads of E-Learning Forum (HeLF) Steering Group from 2007-2011 and as a founder member of HeLF still remains on the HeLF Steering Group. Susannah will provide academic leadership and mentoring to LLS staff engaged in research activity and will play an active role in the research life of the department. Posted on July 9, 2017, in Library, News, Research and tagged research support, Visiting Proffesor. Bookmark the permalink. Leave a comment.